This summer I took a trip out to the Brooklyn Flea Market and happened to meet the lovely lady behind Moontree Press. 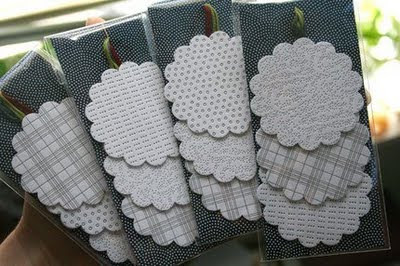 Now Martha Stewart has featured Moontree on her blog and the Moontree etsy store seems to be flourishing! Hooray! 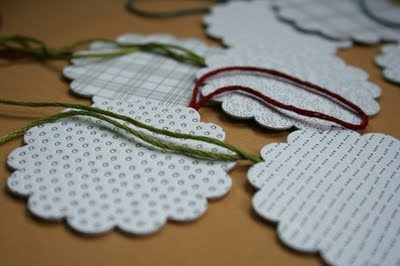 My recent favorite is the letterpress ornaments on offer for a mere $10. 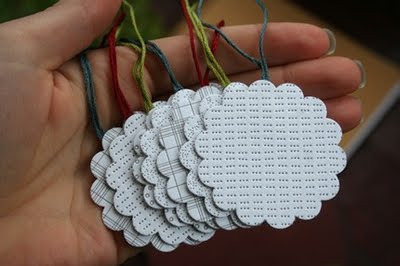 Wouldn't these be a fabulous gift tag for the holidays, where you could write a loving personal message which could then be hung on the tree? Or, since they are printed in fun patterns and in a gorgeous gray, it could be hung up for any holiday! Check out the ornaments here, the Moontree etsy store here, and the Moontree website here.